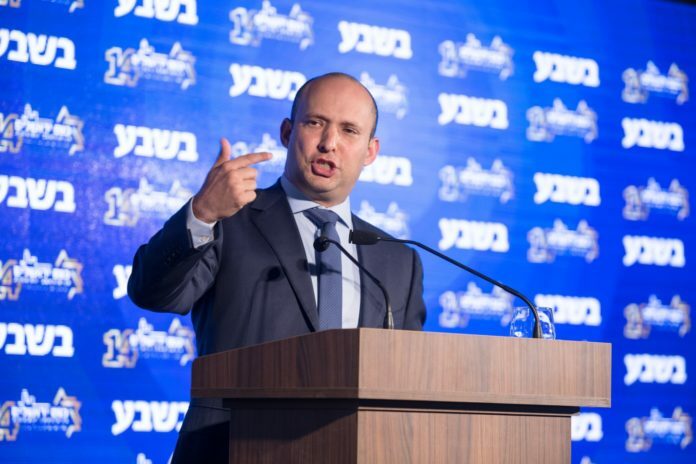 Jewish Home leader Naftali Bennett continued his hard line against concessions to Hamas on Sunday evening, saying that the understandings with the terrorist organization and the reopening of the border crossings with Gaza were akin to paying it protection money. Earlier on Sunday, Defense Minister Avigdor Liberman lashed out at Bennett for criticizing the decision to open the Kerem Shalom border crossing on Tuesday, saying “How can it be that the entirety of Israel’s security organizations have less of an understanding than one populist and messianic minister… I’m referring directly to Minister Bennett”. According to Liberman, Bennett publicly challenged the decision not out of defense related considerations, but political ones. “He’s thinking of elections and playing a game of inner-party politics of the lowest form… Before you send soldiers to battle, we must exhaust all other possibilities, and that is how we are operating.” the defense minister said.